I did however just want to write a quick post to tell you all how blown away I am by a blog post I just read on Liam's blog. Liam is one of those amazing crafty people who not only makes the most divine projects, but she also blogs so regularly about them she inspires me every day! Given the high esteem I have for her you can imagine my surprise to find myself listed on her blog as someone she get's inspiration from. I nearly fell off my chair at work!!!! Seriously! That's one compliment that's going to take a LONG time to sink in. I don't have a lot of time to check out blogs so when I find one I like I add it to my subscription list in Google reader straight away. That way every time I make a cup of coffee and have 5 minutes to myself I get to spend time drooling over the amazing work of crafters around the world and daydream about what I'll make the next time I'm in my craft room. It's the best way to get a daily dose of inspiration (or 2 or 3) delivered directly to you every day. So that's it from me today. Thanks for stopping by. And to all those who subscribe to my blog, comment and offer words of encouragement - thank you - it means the world to me! And thanks Liam for being such a fabulous inspiration! 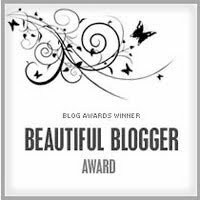 whoops I was a bit late to let you know about the blog award. You were too quick and I was too slow. Anyway enjoy the award you deserve it. Sally, thank you so much for the award; you're too kind! Hope you are back on your chair by now, LOL! ha ha - yes I climbed up there eventually.. took a while.